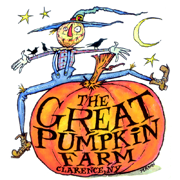 More fun and games this weekend at The Great Pumpkin Farm! Area high school technology teams have been working for weeks to design and build trebuchets (pronounced treb-yeh-SHETs) to compete in this weekend’s annual Pumpkin Catapult Contest, as part of The Great Pumpkin Farm’s Fall Festival. Thirteen teams from area schools are scheduled to compete in Clarence for distance and accuracy and with enough precision to win cash prizes and trophies for their schools and prestige for their teams. Be the first to comment on "Annual trebuchet contest is this weekend at the Great Pumpkin Farm"